Alibi full size panoramic headboard perfectly matches full sizeplatform bed #345431 from the same collection. It's extra-wide design makes it a contemporary statement on its own. Its angled design also gives the Alibi bed set a comfortable shape to read in bed or watch tv. Gives a contemporary look to your bedroom with its modern lines and trendy walnut finish. Alegria Twin Size Bookcase Headboard adds handy storage and complete the look of Alegria Twin Size Storage Bed #5600. Alegria Collection from Nexera is a timeless and functional collection offered in a rich Natural Maple finish with hardwood knobs. 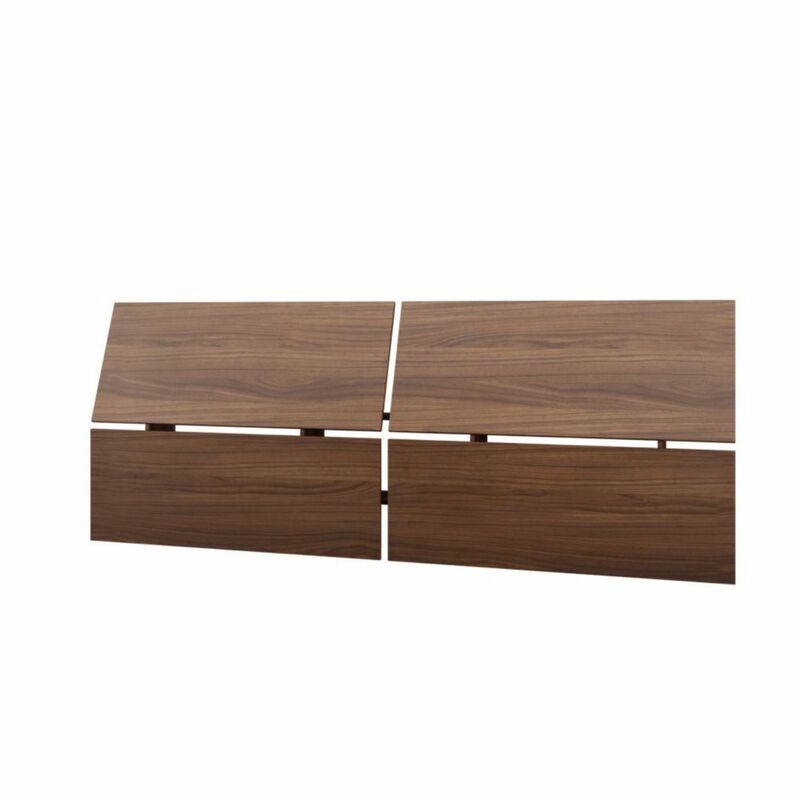 Nexera 345331 Alibi Full Size Panoramic Headboard, Walnut Alibi full size panoramic headboard perfectly matches full sizeplatform bed #345431 from the same collection. It's extra-wide design makes it a contemporary statement on its own. Its angled design also gives the Alibi bed set a comfortable shape to read in bed or watch tv.